The ECS spherical segment valve has the advantages of the gate valve and the ball valve combined. 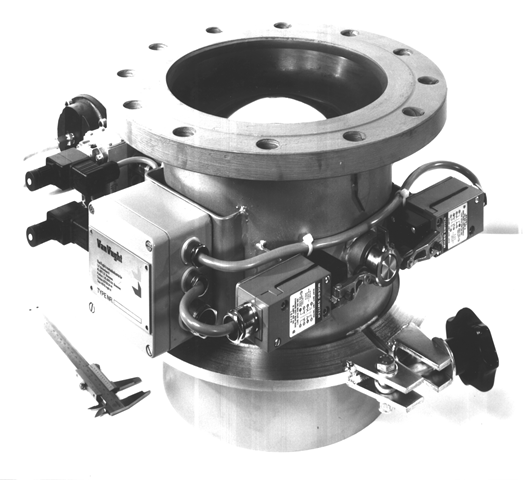 The Spherical Segment Shutoff Valve, abbreviated in Dutch to BSA, is a product which ECS van Vught has been supplying for more than 30 years. This tried and tested design is a reliable and solid shutoff valve. The standard version is primarily employed in powder and granulate products, in a wide range of sectors. The passage for which the BSAs from ECS are supplied ranges from 4”to 14”. · In the “open” position, the spherical segment is entirely withdrawn from the product flow, permitting unreduced passage and hence optimum through flow. · Minimal wear and contamination of sealing surfaces. · Thanks to a solid, smart design, this shutoff valve offers an extremely long service life. · During closure, the spherical segment is as it were rotated by the product flow itself, and forced against a plastic seat. · During switching, the spherical segment is as it were “released” from the seat, as a result generating no friction resistance. As a consequence, this valve can be opened and closed very rapidly, at high frequency. · The spherical segment rotates in a “closed” housing. In other words, there is no soiling or leakage outside. · This very solid shutoff valve is manufactured entirely to customer specifications.